Blog Microsoft Azure How to Prepare for the Exam AZ-900: Microsoft Azure Fundamentals? 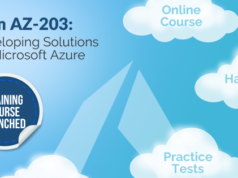 How to Prepare for the Exam AZ-900: Microsoft Azure Fundamentals? In the year 2018, we have witnessed a significant increase in public cloud spending by enterprises over the world. This was somewhat favorable to Microsoft Azure, one of the top players in the cloud war. In the 4th quarter of 2018 itself, the growth rate of Azure was 89% compared to 45% of the Amazon AWS. For the people who seriously want to build a career in Microsoft Azure or to find business opportunities based on Azure, this data would be so captivating. But, what if these people have no technical background? To address this concern, Microsoft has set up a certification in the new role-based Azure certification path, namely “Microsoft Certified Azure Fundamentals”. This exam is for the people from a non-technical background as well as for technical people who want to verify their elementary knowledge on Azure cloud services. To get this certification, it is mandatory to pass the exam AZ-900. If you’re one who wishes to attain this certification, you need to equip yourself with a proper preparation plan and the right AZ-900 Microsoft Azure Fundamentals study materials. Whizlabs, one of the leading online technology training providers is happy to assist you for your AZ-900 exam preparation with such resources and strategies for expediting your AZ-900 exam journey. 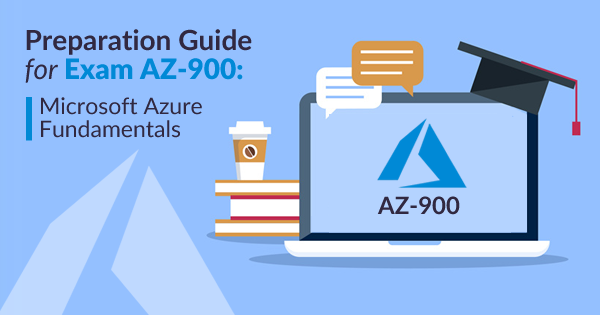 So, just see how you can make yourself ready for the AZ-900 exam with the help of this preparation guide for AZ-900 Microsoft Azure Fundamentals. Azure AZ-900 is a light exam compared to many other role-based exams from Microsoft. This exam doesn’t require experienced cloud professionals or programming wizards. If you are a person who is involved in the purchasing and selling of cloud services, this exam will be beneficial for you even you are from a non-technical background. Also, this exam will be helpful for people who want to validate their basic knowledge in cloud services or solutions. Even this is the case, it will be useful if the exam candidate has some general IT experience or knowledge before starting an official AZ-900 exam preparation. Suppose you want to build a career in any of the pivotal Azure roles including developer, solution architect, administrator, etc. and you don’t know from where you can start your journey. Here, this exam and the certification comes to the track. This exam can endorse your proficiency in Azure fundamental concepts and make you competent enough to take future Azure certification endeavors. This assurance can reflect on the exam results when you take other Microsoft Azure certification exam preparations as well. 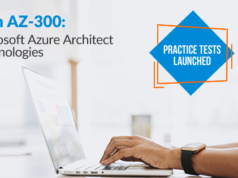 For Azure Developer role, pass the AZ-900 exam and get one step ahead with the AZ-203 Exam Preparation. It’d be a good practice to know about the basic details of this exam before starting your AZ-900 exam preparation. Microsoft has a defined policy when it comes to its exams. Here, each type of exam has particular specifics according to its function or role. There will be different specifics for MCSA exams of Microsoft from that of role-based exams and so on. Anyway, let’s see how these details are applicable to our AZ-900 exam. Similar to most of the Azure exams, you can expect 40-60 questions in an AZ-900 exam and you’ll get 85 minutes. And, there’ll be a different format of questions like a case study, short answer, repeated answer choices, build list, hot area, multiple choice, mark review, review screen, active screen, best answer, drag and drop etc. in your exam. You can answer any number of questions in the exam. There won’t be any penalty for giving incorrect answers. You just don’t score for wrong answers, that’s it. A pricing check-up of the exam is mandatory before you start your AZ-900 exam preparation. This exam fee is subjected to change with the location from where you are taking the exam. If you are living in the USA, the exam will cost 99 USD. You’ll get a fee reduction if you are a Microsoft Imagine Academy program member, Microsoft Partner Network program member or a Microsoft Certified Trainer. Students are also eligible for a fee reduction. You need a total of 700 marks to pass in this exam. The candidate who will receive marks less than this figure will be considered as fail. You can know your exam results within a few minutes after the exam completion. Anyhow for detailed scorecard, you need to wait a few days. Your scorecard can contain many details including your overall performance in the exam, pass/fail status, a bar chart showing performance in key areas of the exam, and the instructions on how to interpret your exam results. Many of the candidates have expressed their doubts regarding exam retake policies before starting their AZ-900 exam preparation or during the preparation. If you attempt this exam and couldn’t pass for the first time, you need to wait for at least 24 hours before exam retake. If this happens to you for the second time, the waiting time for the next exam can extend to 14 days. In this way, you can take a maximum of 5 retakes in a year. If you cancel or reschedule an appointment at least 6 business days before the exam, there won’t be any charge for the cancellation. If the cancellation/rescheduling happens within 5 business days, you’ll be charged a nominal fee. But, if you fail to reschedule/cancel the appointment before 24 hours or you couldn’t appear for the exam, the entire exam fee will be forfeited. For Azure Administrator role, if you’ve passed AZ-900 exam (not mandatory), you can start your AZ-100 exam preparation. In AZ-900 exam, you can expect questions from 4 modules. It’s required to know about these modules before your AZ-900 exam preparation. You can see them below. How to Schedule your AZ-900 Exam? During any stage of your AZ-900 exam preparation, you can go to the Microsoft portal and register your exam. But we strongly recommend progressing further on your preparation before registering. Anyway, when you are ready, you can schedule your exam by clicking “schedule exam” link on AZ-900 page on Microsoft portal. In the next page, you need to fill up a form with your details. You can select the exam delivery option on the page of Pearson VUE, Microsoft’s exam partner. Here, you can choose the exam delivery option from choices “At a local test center”, “At my home or office”, “At a Certiport test center” etc. You can choose one according to your convenience. Once you chose the location for your exam, you need to select the date and time to take the exam. Your registration will complete once there’s a confirmation on the payment of your exam fee. How to Organize your Microsoft Azure Fundamentals: AZ-900 Exam Preparation? The preparation for an exam determines the result of the exam. So, it becomes very important to prepare well, if you want to pass the AZ-900 certification exam. As the exam is new, you need to follow the right preparation steps to clear the exam in the first attempt. Below is the comprehensive preparation guide for the AZ-900 exam. This portal acts just as a command center to all of Microsoft’s exams and certifications. You can find the listing of all the Microsoft certifications in the Microsoft Learning Page. Without any difficulty, you can find the page for AZ-900 as well in this portal. Frankly saying, this portal should be the starting point of your AZ-900 exam preparation. It’s because you can find everything you need to know about this exam in this portal including exam registration option, details on AZ-900 exam modules, links to AZ-900 Microsoft Azure Fundamentals study materials, exam prerequisites, exam study groups, links to exam policies and exam structure, etc. In addition to all these, this is one of the few places where you can get important updates regarding exam schedule, module changes, pricing changes, etc. Since this portal is the only place from where you can find scheduling links for the AZ-900 exam, it’s pretty sure that there’s no way this portal gets unnoticed during your AZ-900 exam preparation. Want to become a certified Azure Developer? Follow the AZ-203 Exam Preparation Guide and get ready to pass the certification exam. Don’t confuse this page with Microsoft’s Learning portal as both of these sections contains separate learning pages. In Microsoft Azure Documentation, you can easily locate the page dedicated to Azure Fundamentals. Here, you can study concepts such as Agility, Disaster Recovery, Elasticity, Fault Tolerance, High Availability and Scalability which are essential in any cloud ecosystem. 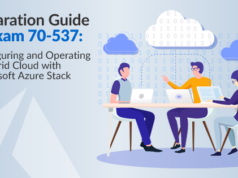 From here, you’ll get to know how to compare and contrast basic steps for Azure cloud migration. Also, you can find the scale of different Azure services spanning on compute, security, storage and network from this learning platform. Altogether, you can understand the benefits of Azure in cloud computing, especially how it can save your time and money. If you are new to Azure technologies, this learning document must be an unavoidable part in your AZ-900 Microsoft Azure Fundamentals Exam Preparation. In addition to Azure Fundamentals, you can learn a lot more from Microsoft Documentation including Azure account creation, Azure networking options, Storing applications in Azure Blob storage, Automation of Azure tasks using PowerShell, Resource Management in Azure, using CLI for controlling Azure services, and many more. During most of the Microsoft Azure certification exam preparation, you can access links to instructor-led training from the Microsoft learning portal. Luckily, you can find such training for the AZ-900 exam too. This training comes with the name “Course AZ-900T01-A: Microsoft Azure Fundamentals”. This course contains exactly the same modules in the main AZ-900 exam syllabus. Similar to the main exam, there are no particular prerequisites for taking this course although it recommends general IT knowledge. Another key advantage of instructor-led training is the facility to set up on-demand classroom training. Here, you can arrange classroom training on your convenience such as a live class in person, attending live class remotely, asking questions to the instructor in person and many more. The course duration will be one day. All you need to do is to find a Microsoft Learning Partner in your area. You can find it by clicking the “Find a classroom training partner” link in the Microsoft page for Course AZ-900T01-A. Once you found a Microsoft Training Partner, you can proceed to their website for booking a training section. For most of the Azure role-based exams, you can find an exam study group in the Microsoft Learning portal. Sadly for our AZ-900 exam, this facility isn’t available. Anyway, you can use the power of other popular forums including Whizlabs Forum. You can share your queries and doubts related to Azure services and solutions in these forums. There’ll be a lot of experienced people who can easily solve your queries. You can also respond to other members’ queries if you know the answer. If you have any suggestions to share to Microsoft about Azure, you can make use of “Azure Feedback” as well. If you got a reliable book on Azure, its impact would be very high in your AZ-900 exam preparation. But sadly, most of the available Azure books aren’t meeting the necessary expectations of the reader or the industry standards. Anyway, we have filtered out some of the Azure books that can be very helpful during your AZ-900 exam preparation. Microsoft Azure For Beginners: Getting Started with Microsoft Azure: This book features all the basic why, how and what aspects of Azure technology which a beginner in Azure needs to know. This book is available on both Kindle and Paperback editions on Amazon. The book is written by Adney Ainsley. Azure: Microsoft Azure Tutorial for Beginners: This book is specifically designed for the non-tech people who always find it difficult to understand tech concepts including cloud technology. There are paperback and kindle versions on this book on Amazon. The author of this book is Kennan Bismar. Azure: Microsoft Azure Tutorial The Ultimate Beginners Guide: As compared to the other two books we’ve seen this book is more suitable for people from tech backgrounds. Anyhow with little effort, anyone can grasp the concepts discussed in this book. This book is written by Dennis Hutten. You can find both the Kindle and Paperback versions of this book on Amazon. If you are planning to get a magazine or a journal as a preparation guide for AZ-900 Microsoft Azure Fundamentals, it is good to follow MSDN Magazine. It is Microsoft’s official magazine that comprehensively covers all the latest technologies from Microsoft including desktop, cloud, mobile, web, etc. By subscribing to such a magazine, you can reach out to the industry’s leading voices who are capable of suggesting practical solutions to real-world problems. Sample tests are wonderful ways to analyze your competence and skills in a particular domain. You can find many of such tests on the page of Mindhub, one of Microsoft’s official training partners. But currently, there are no tests in their portal for the AZ-900 exam. You have to wait some time for any of such AZ-900 tests appear on that portal. Till that time, just continue with your AZ-900 exam preparation to find other alternatives. You may also find many websites during your AZ-900 exam preparation that claim as they can provide the real exam dumps for AZ-900 exam. Never trust these websites as Microsoft itself does not encourage these practices and sometimes use of such practices can even result in suspension from the main exam. So, always be aware of these traps during your AZ-900 exam preparation. You can choose practice tests or sample papers from various sources but not the brain dumps for your preparation. This step may always get neglected during the AZ-900 exam preparation. But It’s as important as books or related materials since these items are published by Microsoft itself. You can find a lot of relevant materials related to Azure from these resources. Also, make sure to subscribe to Azure notifications which can help you to get informed about all the latest updates regarding Azure. Want to become a Microsoft Certified Azure Architect? Just start your AZ-300 exam preparation now. As compared to Azure role-based exams, AZ-900 is an exam which doesn’t require prior experience. Anyone with basic aptitude and logical skills can easily pass this exam without relying on intense AZ-900 exam preparation. Even this is the case, you can’t ever skip the need for proper AZ-900 exam preparation as it can provide you with more insights on how to approach an exam. If you want to take more certifications from Microsoft in the future as well, such an AZ-900 exam preparation can provide a lot of benefits to you. So, keep updating your knowledge with the materials we’ve provided and if ready, just take the exam AZ-900 with confidence. You’ll get definite results for your efforts. Take Whizlabs AZ-900 practice tests to prepare well and get ready to pass the AZ-900 exam. If you are preparing for any other Azure certification, check out our Microsoft Azure Certifications training courses and join us to become certified in Microsoft Azure. Nicely captured various facets of clearing AZ-900 exam. Many thanks! Nicely captured AZ-900 preparation steps. Well done! Great Post , Much appreciated for covering all aspects of this course.